Telerik RadOrgChart for ASP.NET AJAX is a flexible organizational chart control for ASP.NET applications. 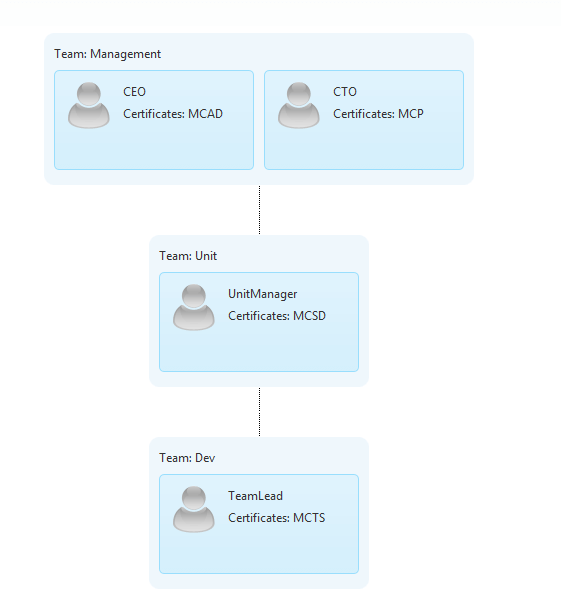 It is specially designed to represent a structure of an organization in terms of relationships among personnel and/or departments. Customizable appearance of the nodes by using templates. This control provides the best way to visualize and understand your workforce by simple and easy to illustrate hierarchical relationships. It's specifically designed in order to help the final user creates diagrams for different human resources – this could be management, staff organization, office administration, management structures and as well as many more. Very important is to note that there is also a default image rendering. This means that if an image is not present or not set, the rendering algorithm will search for a default image set through the property RadOrgChart.DefaultImageUrl. If, however, this property is also not set, a default (for RadOrgChart) image will be rendered. Default images can be stopped from the RadOrgChart.DisableDefaultImages property.